You'll be £5.20 closer to your next £10.00 credit when you purchase Grimsby Streets. What's this? Names of the great and good that were forgotten until now are explored, as well as some of the many famous people who were born there, and where they lived. 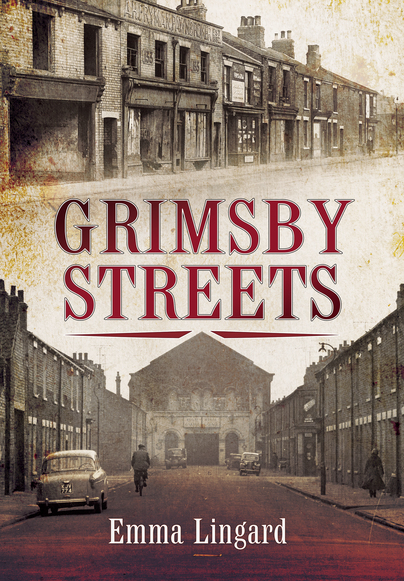 The book also covers the many incidents, which occurred on Grimsby's streets, to give a colourful insight into the history of this once famous fishing port and some of the many wonderful buildings that stood in this proud port. Lots of fascinating facts about the history of Grimsby. For anybody who has an interest in this town and the history behind its streets will enjoy it. Wonderful, very informative and enjoyable. A fascinating guide to Grimsby, albeit not all Grimsby streets are included. Thoroughly researched and very easy to read (in one sitting, in my case)! Emma Lingard has worked as a journalist and broadcaster for twenty years. Her interest in local history has seen her produce many programmes for local television. She is known for Lingards Lincolnshire Rambles, a TV series, which saw her walking around this fine county exploring its heritage. Her love for walking also sees her conduct guided heritage tours throughout the year for the Lincolnshire Wolds Walking Festival. She lives near Grimsby, in North East Lincolnshire, with her family and runs her own strategic communications business.